1. 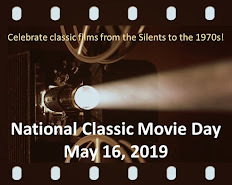 Star Trek (1966-69) – Gene Roddenberry’s brainchild is certainly the most successful series in the history of sci fi television, spawning five spin-off TV shows (don’t forget the animated one) and three film series…thus far. That’s pretty good for a TV show that wasn’t a big hit when it first aired. But Trek earns its spot at No. 1 because of the rich futuristic world created by Roddenberry. He may not have originated some of the innovative concepts (e.g., teleportation, a federation of planets), but he wove them together to create a believable future of hope and humanity. And, despite William Shatner’s occasional forays into the hammy side of acting, the cast helped create immensely likable characters that carried some of the weaker episodes. 2. The Outer Limits (1963-65) – Leslie Stevens and Joseph Stefano (who wrote the screenplay for Psycho) were the creative talents behind the best sci fi anthology of the 1960s (maybe of all time). The concept was that each show would stay within the confines of the science fiction genre and feature a “bear”—Stefano’s nickname for a scary monster. 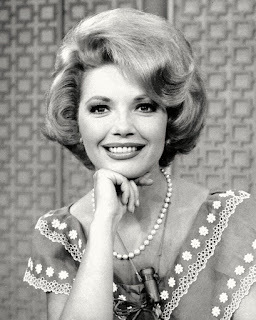 The scripts weren’t as consistently strong as The Twilight Zone and the show’s budget often worked against some of the high-end concepts. 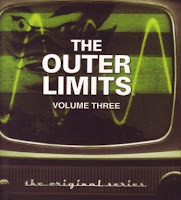 But when The Outer Limits was good, it was very good—with several classic episodes like “Demon With a Glass Hand”, “Soldier” (both penned by Harlan Ellison), “The Inheritors”, “The Zanti Misfits”, “The Architects of Fear”, and “Z-z-z-z-z”. 3. The Invaders (1966-67) – Larry Cohen (It’s Alive) is credited for creating this series, but it bears a strong resemblance to executive producer Quinn Martin’s earlier hit The Fugitive. The premise of The Invaders is simple: architect David Vincent (Roy Thinnes) learns that aliens are planning to take over the Earth, but no one will believe him. He travels from place to place trying to thwart the aliens and convince people to believe him. It doesn’t help that the aliens glow orange and disappear when they die, thus destroying all evidence (in some episodes, aliens commit suicide to avoid capture). The first season of 17 episodes contains most of the series’ high points. In season 2, Vincent linked up with a group of other alien fighters called “The Believers” and the show faltered a little. But at the top of its game in episodes like “The Mutant” and “The Organization”, The Invaders was quite good. 4. 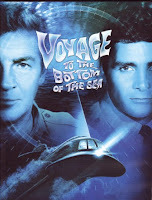 Voyage to the Bottom of the Sea (1964-68) – Television critics harped on Irwin Allen’s series for its “monster of the week” approach, but that criticism actually applies only to the last two years of the show. During its first two years, Admiral Nelson (Richard Basehart) and the crew of the submarine Seaview battled enemy spies and natural disasters as well as outer space aliens and monstrous denizens of the deep. Even when things got a little silly (e.g., an evil puppeteer), the always reliable Basehart was on hand to lend credibility to the proceedings. Honorable mentions: The Jetsons, Jonny Quest, My Favorite Martian, Lost in Space, and Stingray. Great list, Rick! I would put THE INVADERS at #1, but mostly because Larry Cohen created it, and he's terrific! I'm sure my wife would insist that DOCTOR WHO be at top, as she is a fan of the latest four series and especially likes David Tennant, the doctor of the last three. Star Trek, was one of my favorite shows. I still remember the monsters looked scary, the stories were great, the effects were amazing. I even loved the hammy William Shatner. Twilight Zone, was another favorite. Even though sometimes the aliens and robots looked a little cheesy. I really enjoyed the episodes where they used famous actors/actresses. Voyage to the Bottom of the Sea. I loved the special effects like the episode with the giant sea spider and the super fast submarine. Pretty scary stuff..
Rick, , as you know my Dad helped with rthe creation of the Seaview model for the film( it was a huge model ) and worked on Lost In Space from time to time. He always dreaded the "phone call" from Fox that had to send him to the Lost In Space Set. He liked Guy Williams , but the "kid" ( Billy Mummy) and DR Smith ,well that was different. Good List Rick. But What No time Tunnel? This is a really fun review of shows I used to watch religiously, with the exception of The Invaders. I never got into that one. I watched Dr. Who for a few seasons. Wish I could get hold of the films with Peter Cushing! My favorite TV shows ever are Twilight Zone, Star Trek and Outer Limits. Twilight Zone doesn't really fit in here, does it? You can't really call it a sci-fi series. TZ is like Ray Bradbury's stories -- he is hard to categorize as well, some sci-fi but mostly beautiful, poetic tales of the future and the past. Great post, Rick! Great list of good sci-fi shows. I never missed an episode of Star Trek. I even read the Star Trek books. The other STAR TREK shows are good too. My little brother adored VOYAGE TO THE BOTTOM OF THE SEA and I always watched it with him. I am no fan of DOCTOR WHO and find it too silly for my taste. I think Jonny Quest ought be in DOCTOR WHO's place. I'm a trekker from all the way back. A trekker is the proper term for a fan of the show - not trekkie. Rick - the list show read should mention a tv show (TOS), an animated spin off, 4 live action spin off series (TNG, DS9, VOY, ENT), over ninety pocket books for TOS alone, 11 motion pictures, countless books about the series, countless books by the stars of the series, and the only show on the list that's still shown on tv today. Not only are the original episodes from all incarnations of Star Trek available on DVD but the original series has episodes that have been remastered with contemporary special effects. And those are being shown on the tube too ! Austin TOS remastered is also on CBS.com in HD your choice of 1080i or 720iHD For some reason t(I've watched both) the 720HD looks better on line than the 1080. Good list Rick. Star Trek is my fave out of all of them...but the other shows were very enjoyable too. Even throw in Twilight Zone because they had some classic sci-fi tales also. Thanks for all the amazing comments! Becky & Monty, I considered THE TWILIGHT ZONE, THE AVENGERS, and THE PRISONER when I made my list. All three had sci fi episodes, but weren't really science fiction series. Aki, the early DOCTOR WHO episodes were juvenile, but the current series aims for a more sophisticated crowd. Its longetivity and influence can't be denied, thus explaining its place on the list. Paul, I remembered about your Dad...and also that you're a Whit & Lee fan. But TIME TUNNEL was a little repetitious (ditto for LAND OF THE GIANTS). Did you ever notice how some of the aliens looked basically the same in all the Irwin Allen shows? Sark, THE INVADERS episode "The Organization" reminded me of Larry Cohen's screenplay for BEST SELLER--both feature "bad guys" who act in an unexpectedly way. As for Austin2, I knew a Trekker would point out my ST omissions--and I appreciate it! No, Rick, the new DOCTOR WHO is awful!!!! It is too silly and just plain dumb. I watch sci-fi TV shows, movies, and read many books. I find Jonny Quest more entertaining than DOCTOR WHO!!! It is in no way in the class with STAR TREK and the others you mentioned. This is a well constructed list, Rick, and I really appreciated your thoughtful comments. Great job!